The rush and pressure of modern life are a form, perhaps the most common form, of contemporary violence. 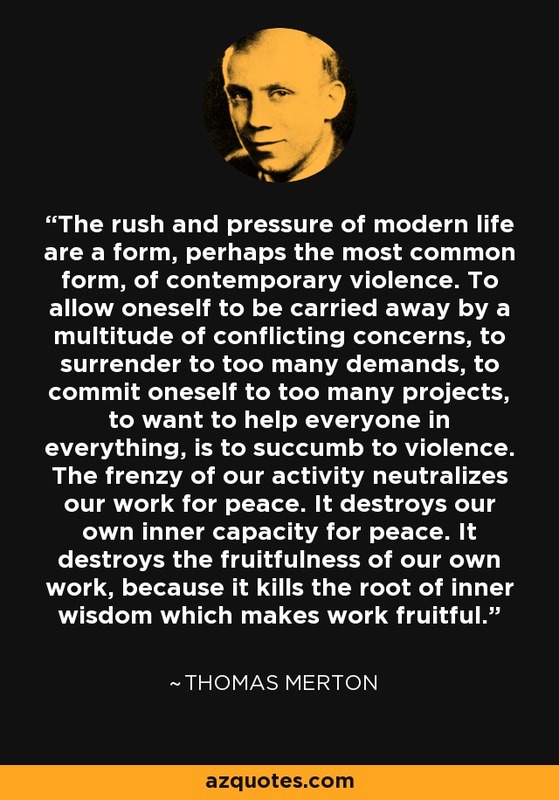 To allow oneself to be carried away by a multitude of conflicting concerns, to surrender to too many demands, to commit oneself to too many projects, to want to help everyone in everything, is to succumb to violence. The frenzy of our activity neutralizes our work for peace. It destroys our own inner capacity for peace. It destroys the fruitfulness of our own work, because it kills the root of inner wisdom which makes work fruitful.